AMERICA'S LONGEST AND HIGHEST STEAM RAILROAD! 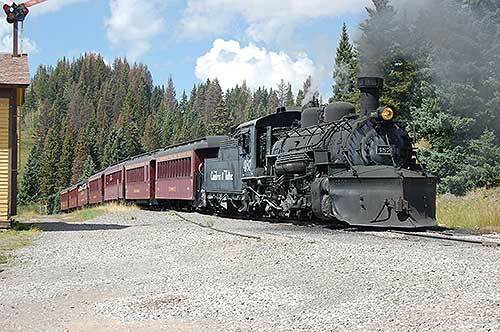 Steam over the Rockies and into adventure on the Cumbres & Toltec Scenic Railroad. Ride America's most authentic steam railroad just as it was for a century, from the coal tipple to the conductor's smile. Voted one of the four best Rail Trips in the U.S. by the Society of International Railway travelers. Deposit and Payment Policy: $500.00 deposit due to reserve seats. 1/2 remaining due at 60 days prior, final count and final payment due at 14 days prior to trip. Cancellation and Refund Policy: Deposit and any payments are refundable upto the 14 day mark. After that there is a $6.00 fee for each cancelled ticket upto 48hrs prior to the trip. After that the tickets are non-refundable.